A natural born empath, Angela Bushman's passion is to inspire others to align with their true essence to create a life of joy, love, and abundance. 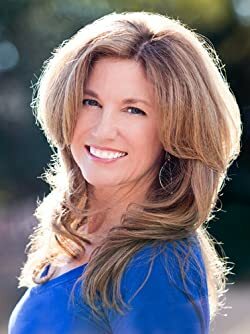 Through writing, coaching, speaking, and painting, she inspires others to soar to higher levels and discover the freedom that comes from living an authentic life. Learn more about Angela by visiting her website at www.AngelaBushman.com. Download her Personal Development Program, now available directly on her website, for you to progress through in your own place, on your own time. This program is a wonderful extension of a personal session with Angela, or on its own. See her latest award winning art at www.AngelaBushman.com, and find all the ways that you can own some of her high vibrational art. Follow upcoming events by signing up for her newsletter, available on her website. Or sign up to receive her blog posts. The fun is just beginning, and you are invited to join in. Please enter your email address and click the Follow button to follow Angela Bushman!